There are lots of blogs around sharing driving tips to help you drive safer in extreme weather conditions, and, although this is necessary, we strongly believe you should be given tips for safe driving all year round. That’s why we’ve come up with our top driving tips to ensure you have the safest driving in all seasons of the year, not just in extreme conditions. English weather is pretty unpredictable all year, but in spring it’s just that little bit more difficult to judge. It could be full sunshine, wet and rainy, extremely frosty or chucking it down with hailstones; some days we even have the joy of multiple weather conditions. With this in mind, always check what the weather is going to be each day and judge the conditions of the roads; if it’s wetter, drive slower. Frequent changes in temperature can also really affect your tyre pressure, so make sure you always check the pressure of your tyres throughout spring. Finally, what’s spring great for? Spring cleaning! It’s time to give your car a spring clean; make sure your windscreen is completely clean and all your fluids are full as you’ll definitely be using your screenwash more during this season. 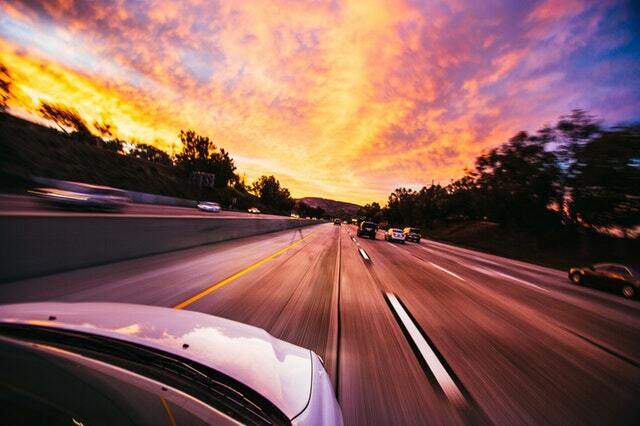 Everyone loves a road trip in summer, which is why it’s extra important to take note of these driving tips. If your tyres are already damaged, the heat of summer can really aggravate them; make sure you check the condition of your tyres before getting on the road. You should also check over your coolant systems to prevent overheating from any faults that may be there. The summer sun is bound to cause glaring on your windscreen so ensure you have a pair of sunglasses in the car. Finally, put a bottle of water in your car as the heat in summer can cause dizziness which could become a hazard whilst driving. In autumn, there will be lots of fallen leaves on the roads which can often hide dips or potholes so ensure you drive slowly to be careful of these. Fallen leaves can also get into the vents of your car if you usually park under a tree. It’s quite common to get thick fog in autumn, so make sure that your fog lights are fully functioning for when the visibility is poor. You’ll also begin to rely on your car’s heaters and lights more due to the shorter days, so it’s worth checking your car battery. Driving in winter can be really dangerous due to the conditions of the roads in icy and wet weather. It’s worth getting winter tyres as they have much better grip than ordinary tyres. Always ensure that you drive slower and avoid sudden breaks during winter. To find out more of our top winter driving tips, read our past blog post. To find out more driving tips, or to have your German vehicle serviced to ensure it’s safe to drive, get in touch with German Specialists Ltd. Give us a call on 0161 476 4422 or fill out our online contact form.